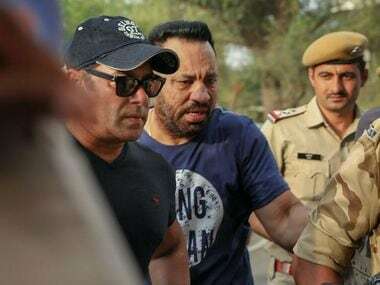 Jodhpur: Bollywood superstar Salman Khan on Saturday walked out of the Jodhpur jail after a sessions court granted him bail in the 1998 blackbuck poaching case in which he was given a five-year prison sentence. Khan was allowed to leave the jail after the prison authorities received the bail documents, the official said. The actor's long-time bodyguard Shera accompanied him to the airport. Hundreds of the actor's fans, who gathered outside the Jodhpur Central Jail, burst fire crackers and sang songs from his films as he walked out of the prison. The police had made tight security arrangements. 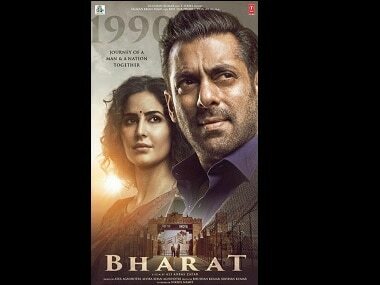 The fans, who were carrying garlanded posters of Khan, raised slogans like "Salman zindabad", "Salman tum sangharsh karo, hum tumhare saath hai". A few fans even chased the actor's cavalcade for some distance. Earlier, they had gathered outside the court and celebrated the grant of bail by bursting crackers. The judge asked the actor to appear before the court after a month on 7 May when it will hear his plea for suspension of sentence. He also directed Khan not to leave the country without the court's permission. In its 10-page bail order, the court said the trial judge acquitted his Bollywood colleagues Saif Ali Khan, Tabu, Neelam and Sonali Bendre and a local, Dushyant Singh, giving them the "benefit of doubt" for the incident. He also said he was earlier granted bail in the Mathania Ghoda Farm case in which he was sentenced to five years in prison for killing a blackbuck. Later, the high court had acquitted him in the case. The judge also said the complaint of lone eyewitness Poonam Chand on 2 October, 1998, was submitted to the court by the forest department six days later on 8 October. Khan's sisters Alvira and Arpita were present during the hearing, besides Shera. The actor was convicted by a trial court and sentenced to five years in prison for killing two blackbucks during the shooting of "Hum Saath Saath Hain" in Kankani village near Jodhpur on the night of 1 October, 1998. The judge had on Friday reserved his decision on Khan's bail plea after hearing arguments on the suspension of sentence and the bail application. While defence counsel Bora had argued for Khan's bail in the court on Friday, public prosecutor Pokar Ram Bishnoi had opposed the plea. Director of Salman's upcoming film "Race 3" Remo D'Souza, "I am happy that he has got bail. After working with him so closely I have become a huge fan of him not only as an actor but also as a human being." "Almost 90 percent of the shoot for 'Race 3' is over and the remaining portions will mostly be shot in India," he said. 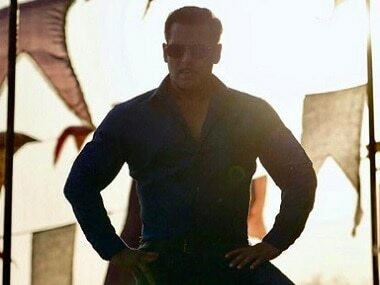 Producer of "Race 3" Ramesh Taurani said he is "happy" that the actor has come out of the jail. Khan's "Dabangg" co-actor Sonu Sood tweeted, "A Good deed is the best Prayer. Welcome brother Salman Khan." Singer Adnan Sami, who composed the music of Khan's "Lucky: No Time for Love", said, "So happy for the bail of my dear brother Salman Khan . Relieved. Come home. JAI HO!"